This post has been written as a part of Blogadda's #CelebrateBlogging. 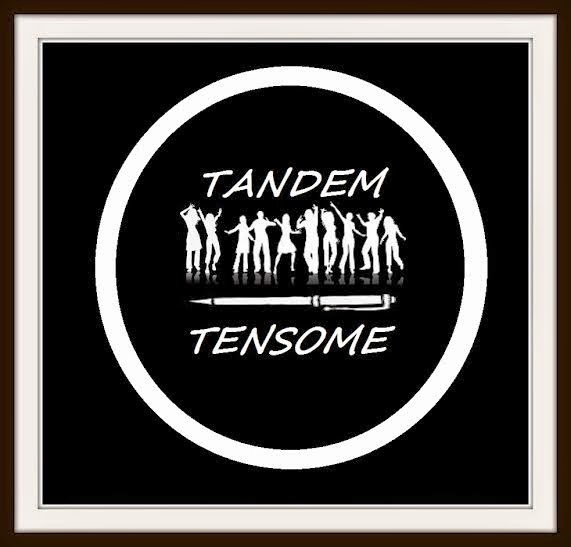 My team is "Tandem Tensome" & this is the fifth chapter in the series. You can read the previous chapters here : Part-I , Part-II , Part-III , Part-IV. Ah! let's proceed then..
"Honey, whassup!! The evening plan is on…” – a free-flow of elation spouted out of the WhatsApp chat window. Jennifer was taken aback; the “perfectly imperfect” timing it was. “Not sure”- She impetuously typed. “What the hell do you mean? We talked about this….right? ”- the exultant flow was abortively disrupted; the first signs of a sinking canoe on a perfectly bright and sunny day. “Listen……forget it. TTYL”- Jennifer’s impulsive reply followed. She was not in a mood to squabble; every passing minute was unbearable, every drop of sweat was being guzzled….it was literally acrid, tortuous. She clinged on-to the most precious entity of her life, the swanky Canon 5D Mark III, almost unflinchingly; the ‘second in line’ was of course getting impatient at the other end of the mobile chat window. “GIRL!! Are you kidding me? You know what this means to me…you do right?!! Okay tell me where the hell are you? ?”- a series of spasmodic wringers followed. He was certainly getting antsy out there, they were planning for this meet for over 2 years now. “Jesus Christ lady!! Why don’t you understand…we haven’t met each other yet, I have been fantasizing this…...” – The vestige of ferment echoed through his words; the edginess had given way to a downer. He had never imagined this, it was almost like a trance this….not a likeable one though. “God is too busy…he can’t help. So am I! ”- Jennifer finally broke the trance. “Listen, this is not funny. You know that I have already talked to the travel agent. We had planned to surprise mom with this….”- He sounded sanguine on this one, he had indeed outlined a prospective roadmap for this not-so-theatrical hook-up. It was rather a bizarre one. “Oh hello Mr. Cyrus! It’s a retweet-steered-liaison if you remember…don’t be so ambitious”- Jennifer sounded flustered for the first time in this broken conversation. It was turning into a melodramatic one – “Yes, I owe you for that gyan on intellectual property rights when I needed it badly. That doesn’t mean you can go on…” – She continued. The brewing nervous tension was slowly overpowering her instincts, she was almost numb, uncomfortably so. Well, this has been their story…yes, you heard it right; Jennifer, the classy photographer and ‘acclaimed twitter celebrity’ and the not-so-social-network-savvy law-scholar Cyrus got introduced to each other as a trail to an unlikely retweet. Jennifer had sent across a tweet stating her exasperation over the case of a stolen photograph, it got retweeted 30 times and eventually reached the twitter-newbie Cyrus. And they got started…Cyrus had extended his whole-hearted (virtual) support in terms of sensitizing the lady with the intricate details related to intellectual property rights (IPR), investigated and they did manage to start the process. It was a beautiful photograph that Jennifer had shot on her last biking-expedition to Ladakh, that too in the cutting cold; yes…she is quite a fanatic. It goes without saying that this particular shot taken at the Likir village was very close to her heart, the fact that her treasured snap-shot was stolen- downloaded, processed, de-watermarked and reproduced without permission had turned those screws-of-defiance. And ladies and gentlemen, wait for it…because the tampered image was published in one of the leading newspapers, just below the editorial column…that too with an in-house copyright, the name of the “photographer” was deliberately omitted. Jennifer had put forward her best efforts, trying to reach out to the head-quarters, but in vain. Nobody had responded to her unremitting strife, her raving calls went unanswered. She had even shared the original Flickr link of the image on all the possible social networking sites demonstrating the original EXIF info for the shot, aperture: f/8.0, exposure: 1/250, ISO: 100 etc. just to prove the authenticity of her claim; she wanted to get hold of the “criminal” ASAP and file legal charges against him...who cares? All she managed to garner through her posts was an array of pragmatic recommendations, nothing of substance though. She had spent sleepless nights imagining her cherished work being featured to someone else’s credit; it’s a terrible feeling. It’s almost as if you have landed into a stinking trench in-spite of knowing the coordinates, the sinking feeling. She had almost resigned…. Until…. Yes, my friend… Enter Mr. ’To-Be Advocate’ Cyrus…who exactly knew which button to press and there you go, the basic foundation of a concocting chemistry had been already laid. It started off with germinating levels of interaction on the 140-character platform; it was not long before those ‘contrived praises’ started to hit the right chords. Cyrus used to “favorite” every possible image that Jennifer posted on twitter, not that he had a smooth ride with 50 others replicating the same…but as they say, you need to be consistent in every game of life. 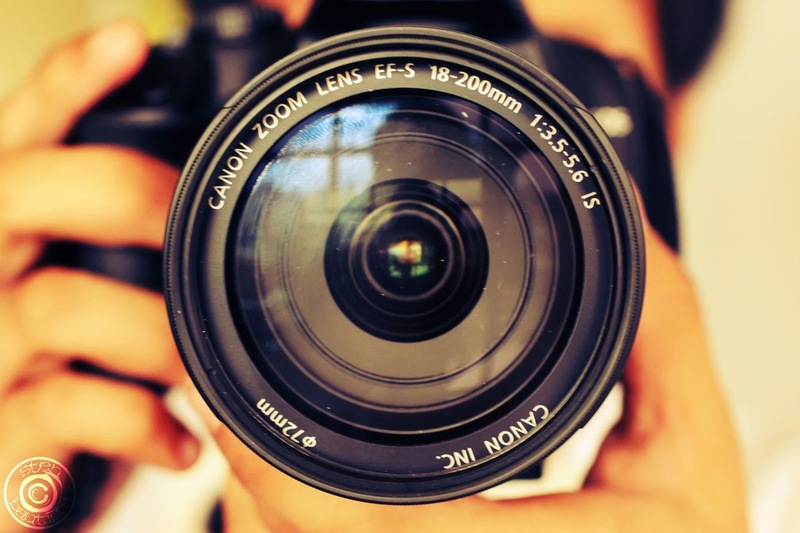 Cyrus, to be honest, had no interest in photography but then he had to go down to the roots to establish his bridle…his research did yield rich benefits in the long run. One fine morning, he got a couple of notifications on his mobile phone that read “Jennifer @Jenni_Joseph followed you on twitter” and “@Jenni_Joseph sent you a direct message”. The EUREKA moment was here….Jennifer, the “twitter-celeb” with 7000+ followers following somebody with a two-digit follower count was quite an indication; she had asked for Cyrus’ mobile number through direct messaging and as you would have prognosticated, they ‘took it forward’ from there. But believe it or not, they haven’t met each other till date…perhaps there was an implicit non-disclosure agreement between the two “lovers”, who knows...! Who said that technology can’t sew a nexus….? Butterfingers mate, it has been observed many a times that technology has proved to be the advocate, and in this case, it ‘beguiled an advocate’! Things had to change though, and it almost did…. they realized that they had to ‘break through’ into the ‘screens’; 2 years of a virtual manacle had to be outstripped. But…..
“Jenni, listen to me….what about that video chat…. ?”- Cyrus ‘sounded’ athirst. This is the only problem with the implicit medium…you don’t get to see each other’s expressions. Plus, there seemed to be a sudden dearth in the smiley counter from the other side. Cyrus was certainly in a soup. “Cyrus!!! Freak…that was your plan…You persuaded me…I never wanted to undress in front of the….! Gah…Whatever!! ” – There was a sudden flow of steam from the other end of the screen. Jennifer was vehement, she never wanted to do this. Her grip tightened, she was restlessly holding on-to her hallowed National Geography-accredited DSLR bag in one hand and typing with the other. It was a double-bummer for sure…the aggravation of an ominous interview clubbed with the relationship-woes, she was literally drench in the ‘sudor of turmoil’. “Ah! He is trying to blackmail me.” – She murmured. “Are you trying to tell me that you weren't interested? Lady, this is…” – He was interrupted in-between. “I guess I expected a bit of sanity from a quote unquote student of law…..anyway…I guess this is it, I don’t want to talk about this anymore. And remember, you STILL haven’t managed to hunt down the plagiarist...and I have no hope! Don’t try to call me”- And she switched off her data connection in a jiffy. “Jennifer Joseph? I repeat Jennifer Joseph..please report to the VC Room” – The coarse announcement broke her daze. The dreaded call had arrived. She stood up, as if in riposte, rubbing off the slight tickle of moisture from the edge of her eye..